South Africa’s Ms. Nthabi 🇿🇦 has just released the mixtape “Broken Silence” on SoundCloud. Ms. Nthabi is an established emcee, and it’s good to hear her back. She has established a reputation as both a lyricist and spoken word artist. It’s not easy finding her previous stuff online, but you can find some of her powerful spoken word performances via Google searches. With a career that has expanded more than a decade, Ms. Nthabi is one of the artists newer generations of emcees often cite as a source of inspiration. Her new mixtape, “Broken Silence” is one of the few projects she’s released in a long time. It’s a 6-track, introspective project that blends her lyricism & spoken word skills. The songs address her experiences in the industry and her personal journey, offering some insight into what may have accounted for her hiatus from rap. 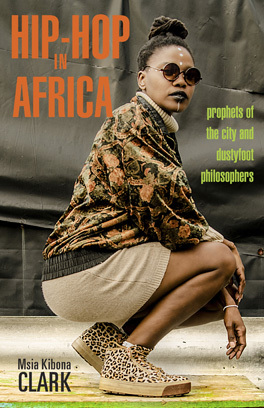 Women are an important part of a recent surge of dope lyricism and strong hip hop content coming out of South Africa, content that departs from the country’s commercial hip hop scene. Content that is getting increasing international attention. This environment is positive for hip hop culture in SouthAfrica & may have influenced Ms. Nthabi’s new release. The mixtape can be found on SoundCloud.